So let me let you in on a little secret: most “top 3, 5, 7, 10, etc.” lists that you’ll see on the internet, are not actually judged by any ranking criteria whatsoever. The order means very little, if anything at all. Ah. It feels good to be honest. So, in honor of subjectivity, I’m going to give you my personal list of my individual favorite mixed breed dogs. These selections were made up by me, and have no bearing on anything other than my personal preferences. Though, I should say that my preferences, are in fact, awesome. And these dogs are probably the cutest/most majestic you’ll ever come across on any arbitrary list ever created. Enough of this qualifier stuff, let’s get to the adorable fluff! Puggles are incredible. They are a combination of two dogs that are cute in their own right, the pug and the beagle, but when combined they form a swirling vortex of insane smoosh-face, floppy eared, mischievous lovability that is sure to cause your eyes tear up, and ellicit the most effeminate sounds imaginable to come spilling out of your mouth immediately upon entering a hundred foot radius of this magnificent mongrel. I defy you to find a cuter dog than this. It’s small, it’s not too fluffy, and it has gigantic infantile eyes that seem to scream out that it needs to be held, squeezed, and loved forever. 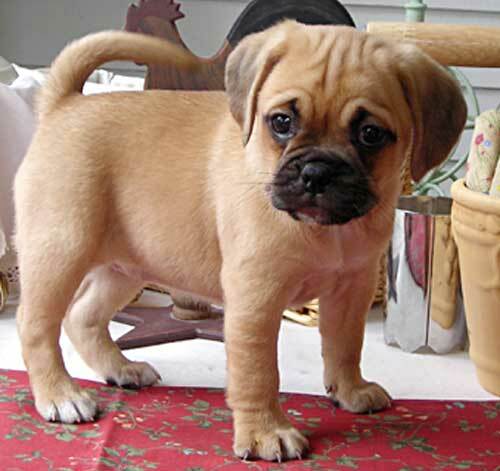 Additionally, there isn’t a word in the English vernacular that’s more fun to say than Puggle. Breed information is irrelevant. All you need is to bask in the glorious glow of the Puggle. Switching gears for a bit, because any list worth its salt has some sizable variety involved. The Dogo Argentino is the definition of majestic. This gigantic hunting dog is smooth, muscular, and loyal to a fault. The Dogo is bred for hunting wild game, the big kind. Like wild bores and mountain lions. That’s right. Freaking mountain lions. You know, the scary giant cats that weigh somewhere between 50 and 136 kg? Yeah, Dogos hunt those things. So cool. Dogos themselves reach a respectable weight of between 40 and 54 kg, and stand between 60 and 76 cm at the shoulders. They’re almost always a solid shade of pale white, and extremely muscular. 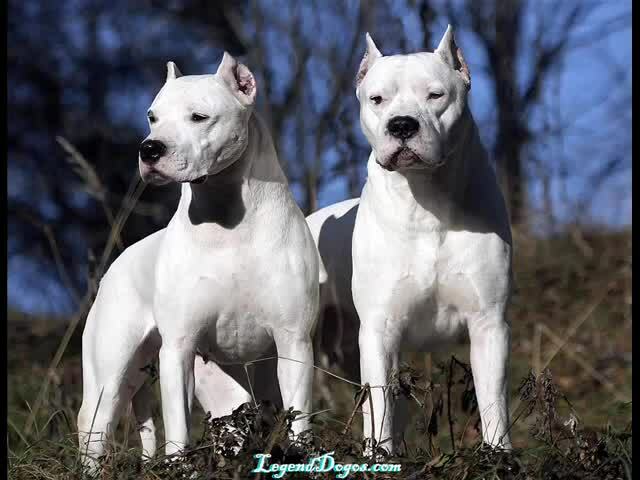 The Dogo is the biggest mixed bag when it comes to genealogy, they were originally bred from the Cordoba fighting dogs along with Great Danes, Boxers, Spanish Mastiffs, Old English Bulldogs, Bull Terriers, Great Pyrenees, Pointers, Irish Wolfhounds, and Dogue de Bordeauxs. While fierce and determined hunters, the Dogo is also a reliable guard dog and family friendly to boot. In fact, these gentle giants are really easy going when it comes to kids and other pets. I highly recommend you get one, put a saddle on it, and have your children ride it to school like a horse. We’re back down to small dogs again. The Pomeranian/Huskie mix, or Pomski, is right up there with the Puggle in terms of aesthetic appeal and supremely cute names. These dogs can have characteristics of either huskies or poms, but usually lean one way or the other. They only get to be about a 3rd of the size of huskies, and they aren’t recognized as a new breed. There’s an effort to get them to that status, but by the looks of the net chatter, it’s kind of a dodgy effort aimed mostly at making a quick buck through selling a cute dog. So that’s sad, but again: this is my list, and despite breeder ethics and politics, Pomskis are tiny, fuzzy, and adorable. The final entry on my list is the Goberian. 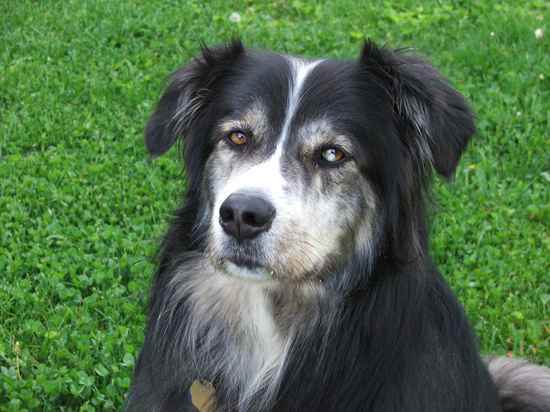 An interesting mix of huskie and golden retriever. Majorly energetic and a prolific shedder, the Goberian makes a wonderful family pet. It has a sweet temperament and an extremely unique look that combines the winter fortitude and toughness of the Siberian Huskee with the goofy nobility of a Golden. That’s it for my super subjective list. I hope you enjoyed the cuteness buffet of the day. Keep checking back for more adorability and helpful pet information! 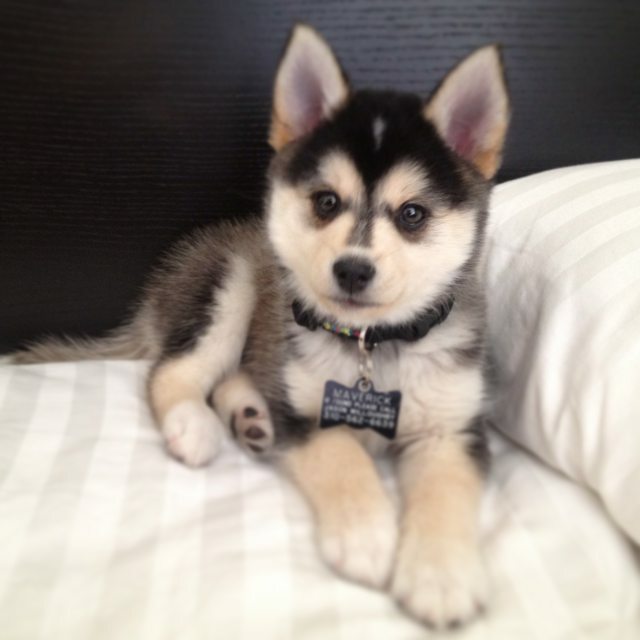 can I buy Pomeranian/Huskie mix, or Pomski, from you?